Gardeners often face the dilemma of controlling pests and disease without the use of harsh and dangerous chemicals, which should be used only as a last resort. When dealing with lawn and garden fungal diseases, homemade lawn fungicide or homemade plant fungicide often solves these problems without damaging the environment and risking the health of you, your children and pets. To reduce the need for using a fungicide for plants, it may help to select healthy, pest resistant plants and practice good sanitation in the vegetable garden and flower bed. Keep plants healthy and their growing area weed -free to cut back on the need for fungicide for plants. More often than not, fungi are the result of pests in the garden. Sometimes, pest control for plants is as simple as a blast of water from the garden hose, knocking off aphids and other piercing and sucking insects. When pest problems and resulting fungal issues require treatment, it’s handy to know about DIY fungicides for the garden. Mixing baking soda with water, about 4 teaspoons or 1 heaping tablespoon to 1 gallon of water (Note: many resources recommend using potassium bicarbonate as a substitute for baking soda.). Dish washing soap, without degreaser or bleach, is a popular ingredient for homemade plant fungicide. Cooking oils are often mixed into homemade plant fungicide to make them cling to leaves and stems. Pyrethrin leaves that come from the painted daisy flower are widely used in commercial fungicide for plants. Grow your own painted daisies and use the flowers as fungicide for plants. Dry the flower heads, then grind them or soak overnight in 1/8 cup of alcohol. Mix with up to 4 gallons of water and strain through cheesecloth. Bordeaux mixture for use during the dormant season can control some fungal and bacterial diseases. 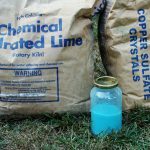 You can make your own Bordeaux mix with ground limestone and powdered copper sulfate. The most recommended strength for dormant application is 4-4-50. Mix four parts of each with 50 gallons of water. 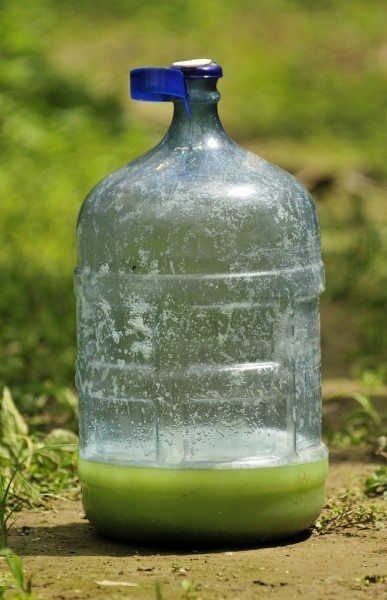 If you need less, like for a gallon, reduce the recipe for this homemade plant fungicide to 6 1/2 to 8 teaspoons of the copper sulfate and 3 tablespoons limestone to 1 pint of water. Now that you’ve learned how to make your own fungicide, use it responsibly. The term organic leads some to believe that these mixtures are completely safe, which is untrue. Use all homemade fungicide for the lawn and garden carefully, especially around children and pets.